On Sunday we decided to catch the Shinkansen to Kyoto for a few hours. Definitely not enough time to explore the city, but much better than nothing! Our first stop was a temple near Kyoto Station. 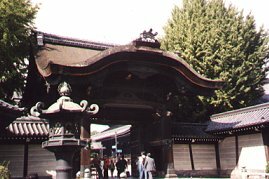 It was our first real experience of Japanese history and religion. There were many tourists there but also many Japanese people who had come to pray. There were several different buildings and to enter any you had to remove your shoes. The inside of the temples were decorated with gold finishings. 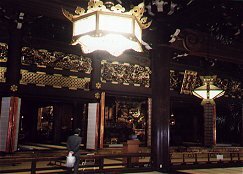 The floor was covered with straw mats and large shrines were at the front, separated from the public areas. 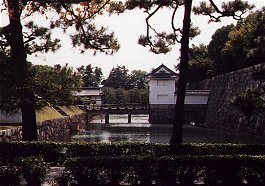 Next stop was Nijo Castle, one of the most amazing places I have ever visited. 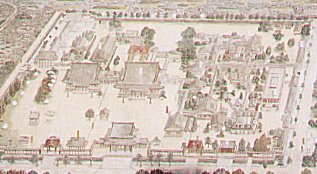 Before Tokyo, Kyoto was the capital of Japan, and Nijo castle is where the Shogun used to reside. 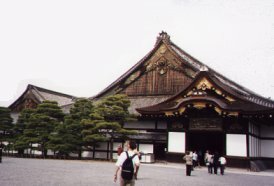 Again, there are many different buildings with the main one being where the Shogun actually lived. This building can be entered (again, if you take off your shoes) but unfortunately, photography is not permitted. Inside you will find an array of rooms. All have the same kind of straw mats that were found on the floor of the temple. The walls are decorated in beautiful golden paintings, all of which are a few hundred years old. 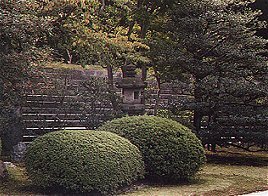 There are also many beautiful gardens surrounding the buildings. 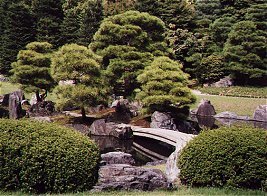 All convey the very unique Japanese style in which precision and accuracy are so important. 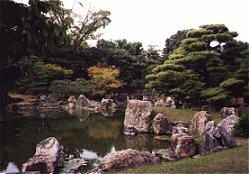 Rocks and water are widely used to enhance the beauty of the gardens as well as occasional Japanese ornaments. 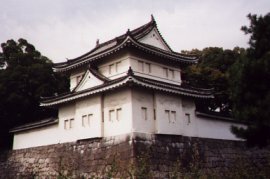 Unfortunately we had to make our way back to Nagoya after our visit to Nijo Castle. There were so many more things to see in Kyoto, but I guess they will be for another trip too. In Nagoya we spent a few hours shopping, picked up our luggage and then boarded the train back to Tokyo where we would spend the rest of our holiday.